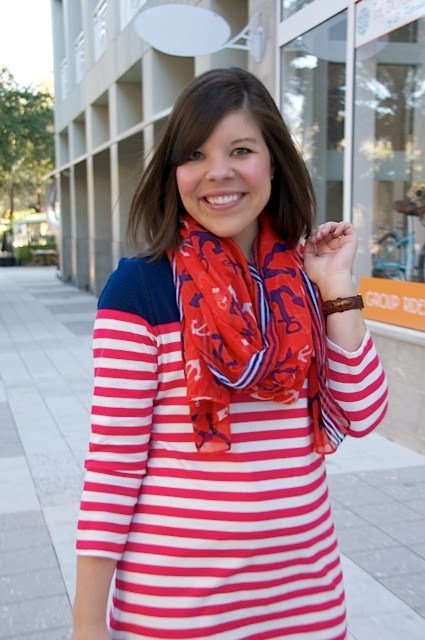 Has there ever been any pattern more perfect than a stripe? 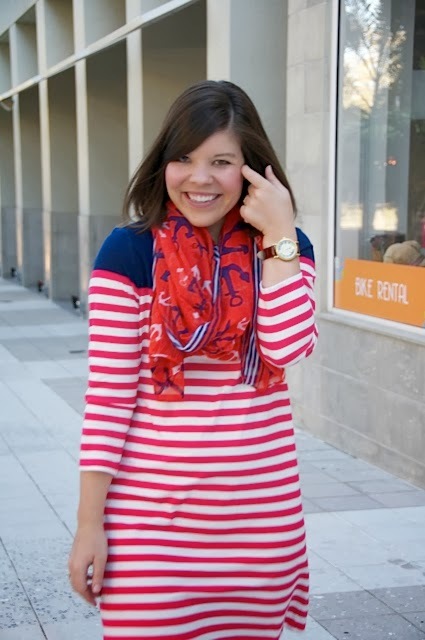 Don’t get me wrong, I love my polka dots, chevrons, and plaid, but nothing speaks to me quite like a classic stripe. 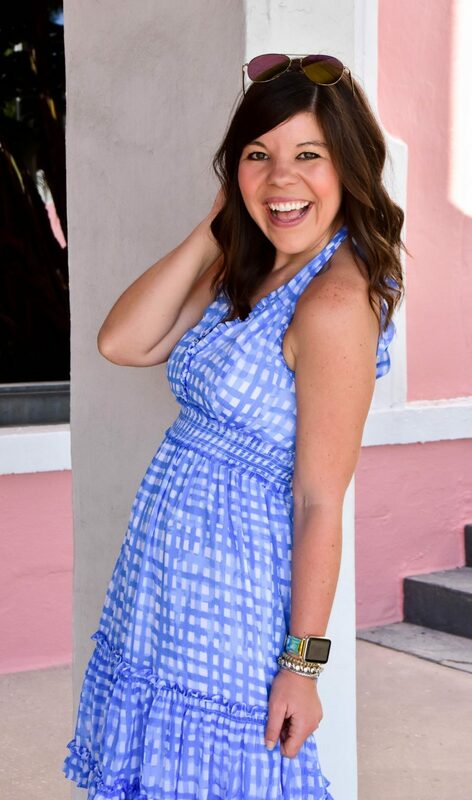 I love that this dress has me daydreaming of boat rides and afternoons with my toes dipped in the pool (even though the temps lately had me wishing I was bundled up in flannel)! 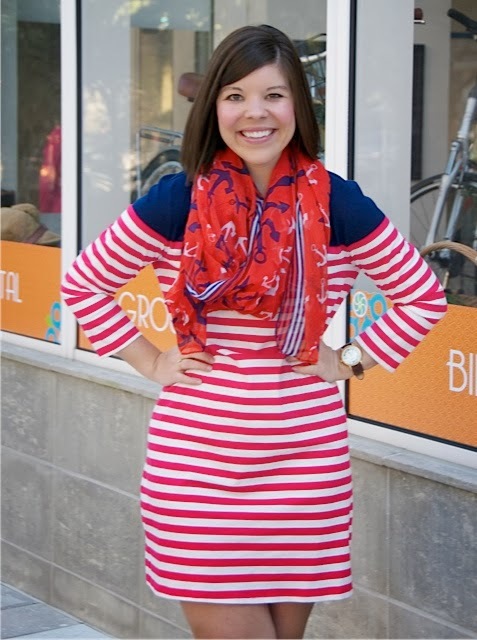 To keep with my nautical state-of-mind I added this adorable anchor-patterned scarf from the cutest lil boutique, Mayzie’s, in Lakeland, FL – seriously y’all HAVE to check them out if you are in the area! I could spend a fortune in there! After a fun weekend in Scottsdale I am happy to be back in action with y’all (and catching up on sleep)! 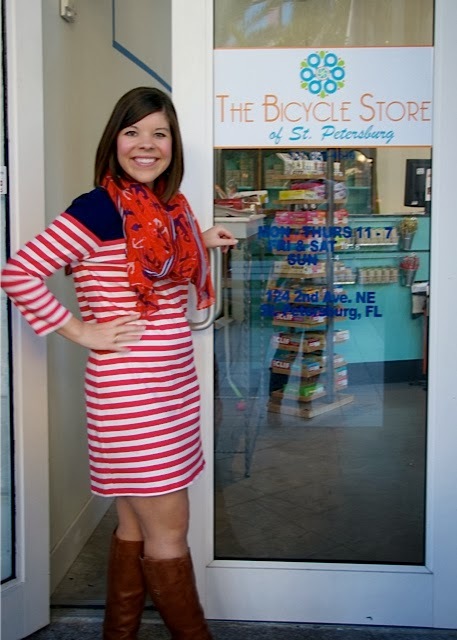 I have some fun posts in store coming up… so make sure you are staying tuned! How stinkin cute are you!! 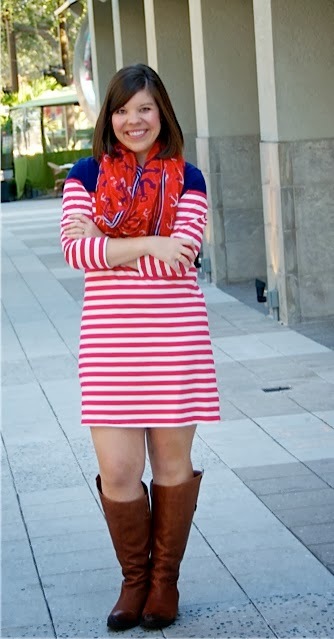 I love this nautical look 🙂 I just wish it was warm enough where I was at to wear it–sigh–I will have to save this outfit inspiration until spring! 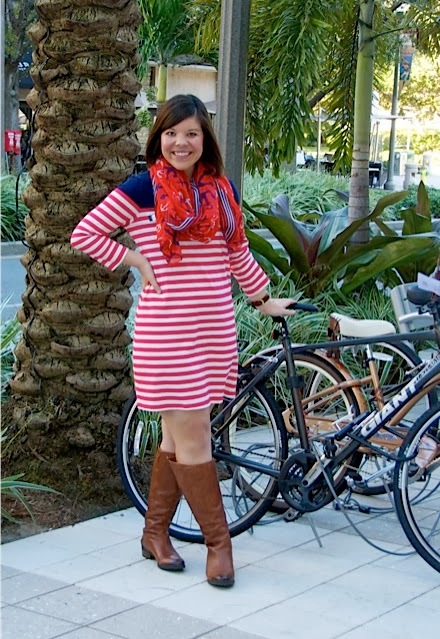 Visiting from Three-Fer Thursday Link-up! 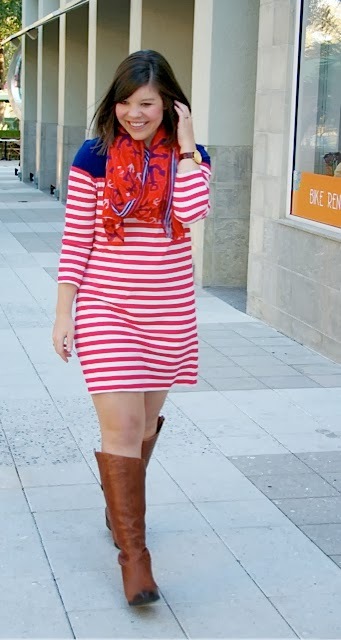 I love this dress, the stripes and colors are perfect!